The potential of social media is being realized in telling the story of the election in Iran. 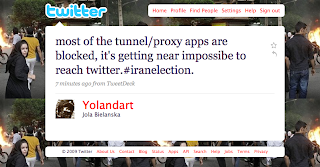 Citizen journalists are using the tag #iranelection to create a historic blip on the World Wide Web. And by following the story, our trend-setting is telling the media which news is most important.